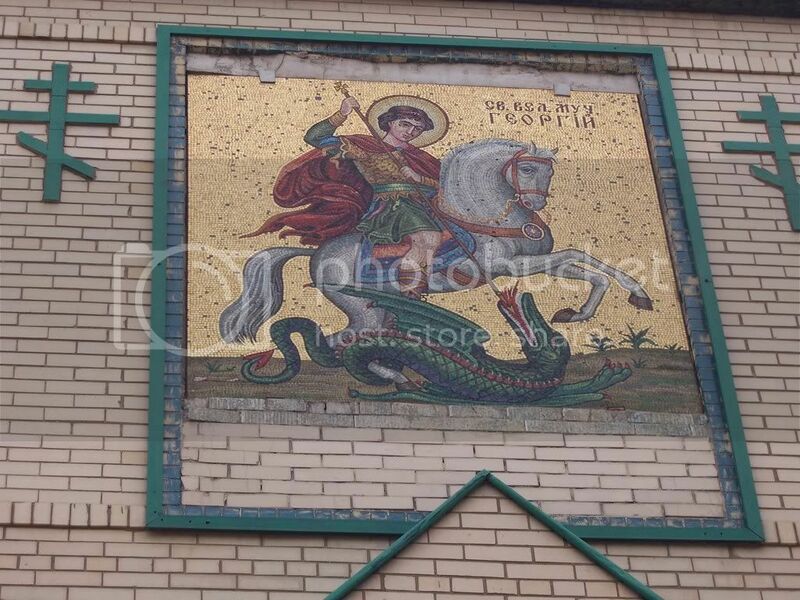 Perhaps no mosaic in the city is cooler than this one – the outside of St. George’s Cathedral on Wood Street in the Ukranian Village features a big, shiny mosaic of St. George slaying a dragon. Does this dragon look like Trogdor to anyone else? Before EMF meters… there were pistols!